At any given time, there are thousands of clinical trials happening around the world. To get a sense of just how many, take a look at the U.S. National Library of Medicine's trial tracking site. Based on the sheer volume of studies occurring at once, it's safe to say many of those trials won't find enough participating doctors and patients. Many studies fail to enroll enough patients, increasing costs and delaying study progression, while subsequently delaying the development of new treatments. Enrollment has long been a topic of discussion in the industry and it was highlighted in several sessions at the 2018 Society for Clinical Data Management annual conference. So, what causes low participation and what are some ways EDCs can increase enrollment? What Causes Low Participation in Clinical Trials? "We know that, currently, a very small percentage of doctors participate in research and an even smaller percentage of patients participate," says Kelly Ritch, VP of strategic partnerships at MedNet Solutions. "But, if you survey patients and physicians, a much higher percentage are interested in participating." The lack of participation is largely attributed to different obstacles. Distance from the clinic site – Many people are deterred from participating because the clinic they need to visit regularly throughout the life of the study, which can be years, is far from their home. Length of time it takes to participate – Many studies take several years to complete because the CRO and sponsor need to gather an adequate amount of data over a certain period of time to prove their medical device or drug is better than what's already on the market. This time commitment can seem daunting if it requires even a few clinic visits per year. 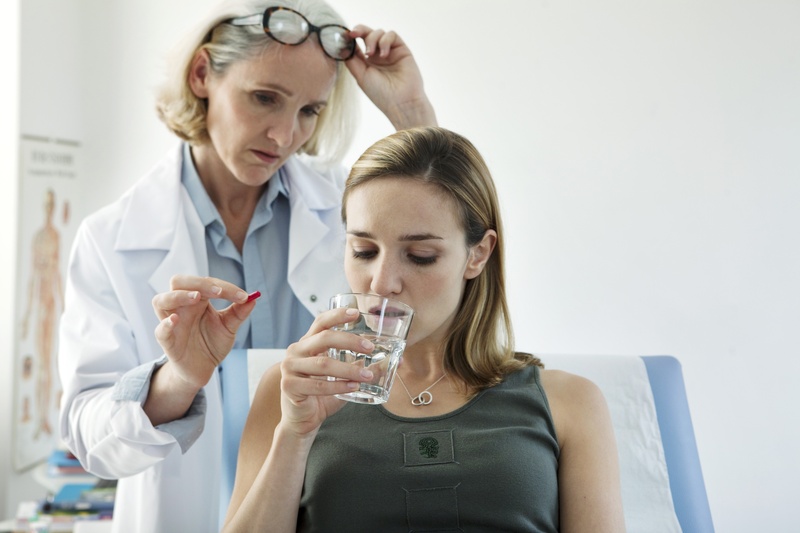 Balance day job with clinical trial – Physicians would love to participate in clinical trials to help improve treatment for their patients in the future. However, doctors who participate in clinical trials are required to do so in addition to seeing regular patients. This can be a tricky balancing act, and may be one they simply don't have time for. Lack of support staff – Clinical studies remain administratively heavy, so doctors need a support staff to help in implementing the study in a timely fashion. Without this support, a clinical study becomes very burdensome to complete. It's easy to see how enrollment is low, but participation should be simple and provide benefit to patients. That's why many EDC vendors are working to solve this issue. "For MedNet, that drives our development," Kelly says. "We want to be building tools that are intuitive, easy to use, fast, and are valuable to the people participating." Well designed EDC solutions can help solve this challenge by empowering patients and making it easier for them to participate. Enhancements are making it easier for patients to engage in clinical studies and also enabling them to move more easily between clinical sites or travel to locations without established sites. New developments and integrations are also enabling EDC platforms to share information with patients in a meaningful way, demonstrating value for their participation. Optimizing EDC platforms to effectively leverage mobile health (mHealth) tools can also have a significant impact on trial participation. Beyond the obvious benefit of being more convenient, mobile device support is beneficial to patients and facilitators in many other ways. For example, one pain point for trial participants is that it can be hard to remember to log their information. Participants who don't adhere to the study parameters are typically dropped from the study, which affects the overall study participation rate and discourages patients from participating in future studies. mHealth tools can streamline data collection, by enabling participants to log their information or even collect it automatically. This removes the hassle that discourages many patients from seeing a study through to completion (or agreeing to participate in the first place). "If a subject is not close to a participating site, the way we build our technology needs to bridge that gap," Kelly says. Similarly, many of the doctors who don't participate in clinical trials cite that they simply do not have the extra time to spend, especially without a convenient way to collect and review data. A large number of principal investigators only participate in one trial, often because it is so difficult to get a site set up and running. A well-designed EDC solution can make it easier, by streamlining the site set up and administration. Building an intuitive EDC platform doesn't just benefit the trial participants, physicians are also much more likely to participate in additional trials when the administrative aspects are as convenient as possible. EDC solutions remove the burden of paper, and new EDC developments offer tools and resources that centralize some of the administrative work system and streamline data collection with integrations that enable sites to pull data directly from ePRO, wearables, EHR systems and other specialty devices. Patients can be discouraged to participate or drop off in the middle of the study if they don’t feel empowered and understand the impact of their participation. Understanding how their data is being used and what it means to them and to the study is critical to secure participation and ongoing engagement. A good EDC platform doesn't just store information. Improvements in EDC technology should facilitate as much of the technical work of conducting a study as possible. Enhancements in EDC solutions are improving the user experience, making it easier to get studies up and running. At the same time, greater integration with external data sources and providing valuable information throughout and after the study provides value for both the patients and facilitators, driving greater participation and ongoing engagement.